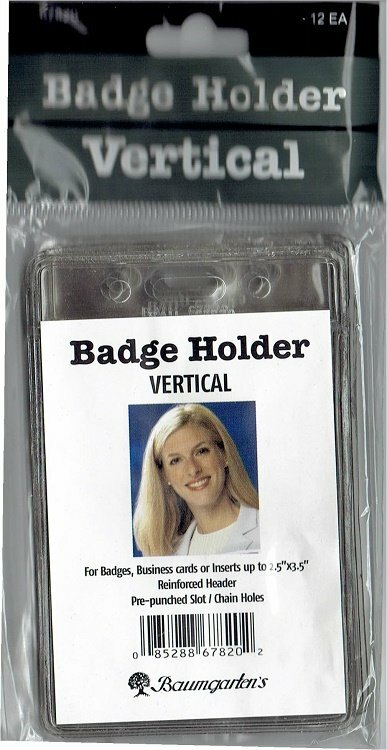 For security and identification, these badge holders are pre-punched for necklace or clip style use. 12 holders per pack, sold by the pack. Vertical style holder.